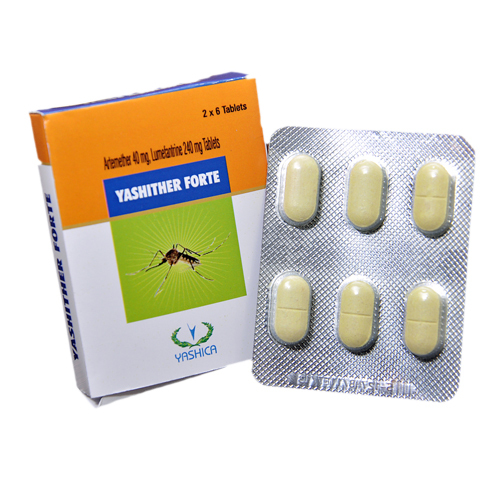 We offer superior quality Anti-Malarial products to the customers. The formulations are made available to the clients in different as per clients need. Description A yellow coloured, round shaped, beveled edged, uncoated tablet with break-line on one side & plain on other side. Disintegration Time NMT 15 min in water medium at 37? Description A white powder along with solvent for injection. RT of the major peaks in the chromatogram of the assay preparation should correspond to that with the chromatogram of standard preparation. Description A white coloured, round shaped, biconvex film coated tablet plain on both side.